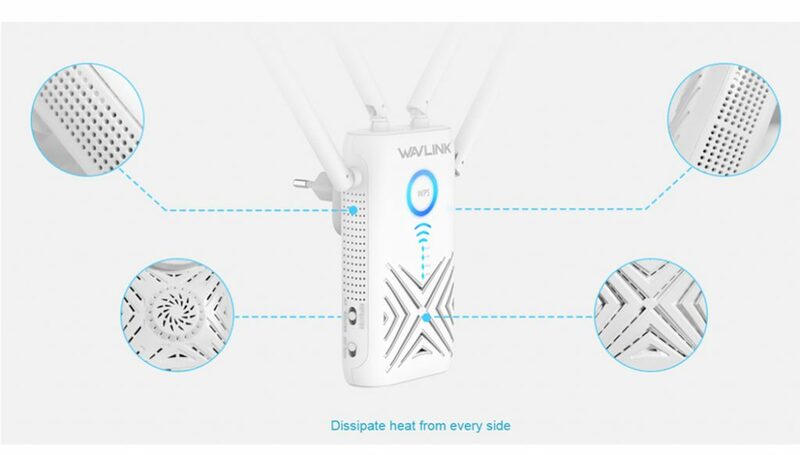 The Wavlink Aerial G 1200Mbps Dual Band (2.4GHz/5GHz) Universal WiFi Signal Booster is designed to improve the signal strength of an existing wireless network and to extend its coverage area and eliminate dead zones. Its size is small but its performance is really good. It has four high gain 5dBi Antennas and that’s why its coverage area is so wide. 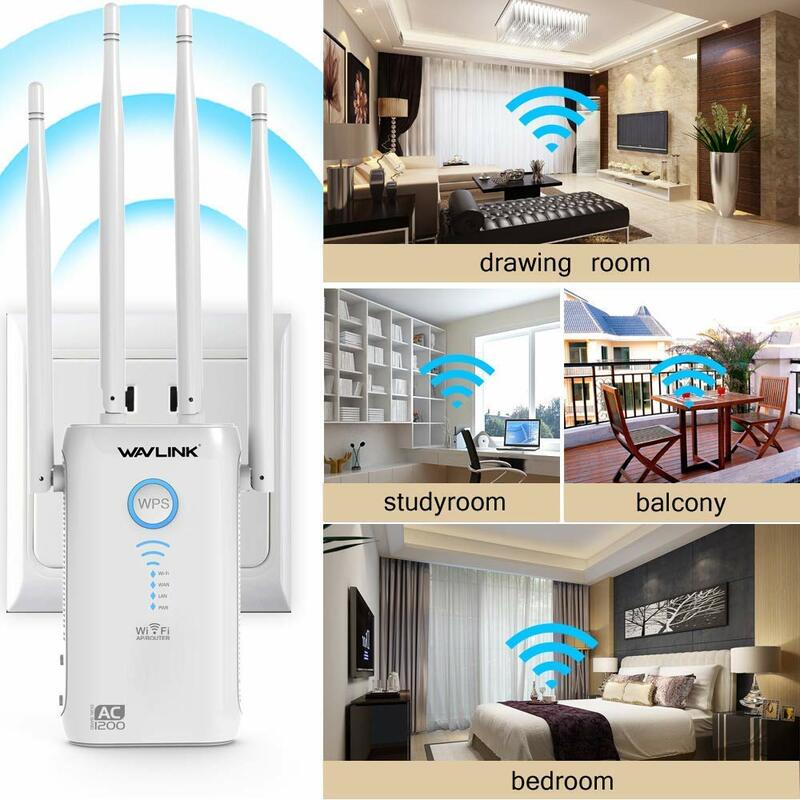 It is different from the other wireless WiFi extenders available in market as this is a real 2nd generation device and it can be worked as a wireless router, wireless access point or WiFi repeater. The Wavlink WN579X3 extend your existing wireless network, improves the performance and eliminates the dead spots. It is perfect for to large homes and offices . You can enjoy uninterrupted online gaming, lag free HD video streaming and web browsing. WN579X3 simultaneously supports Dual 2.4G and 5G wireless network connection. It supports transmission speed of up to 1200Mbps. The benefit of dual bands is that you can use 2.4Ghz band’s 300Mbps for normal use like email, chat and web surfing. 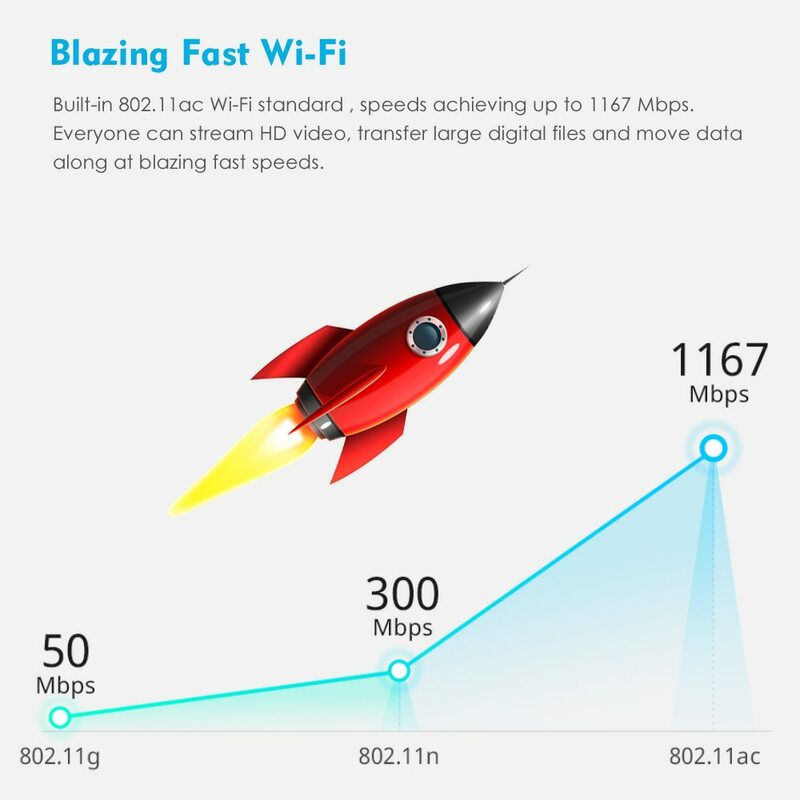 While you can use 5Ghz band’s 867Mbps for video streaming, online gaming, file transfers and downloading. Beamforming technology improves your coverage by directing bandwidth to your devices. As you move around your home. The high power amplifier and beam-forming technology support seep up to 1200Mbps. 2.4Ghz network covers area of 1000sq.ft while 5Ghz network covers area of 2800sq.ft. 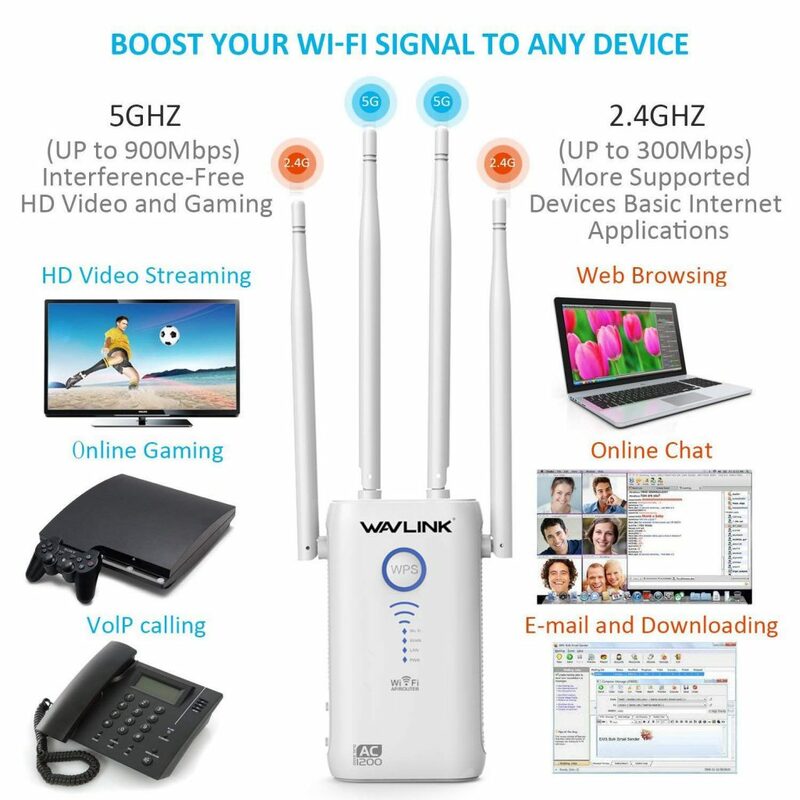 Buy Now This WiFi Signal Booster! Now you dont need to worry about the WiFi dead zones as WN579X3 WiFi signal booster is equipped with 4 high gain antennas and high powered amplifiers. This repeater automatically avoids channel conflicts using its channel selection feature and boosts the network coverage to any hard to reach areas. 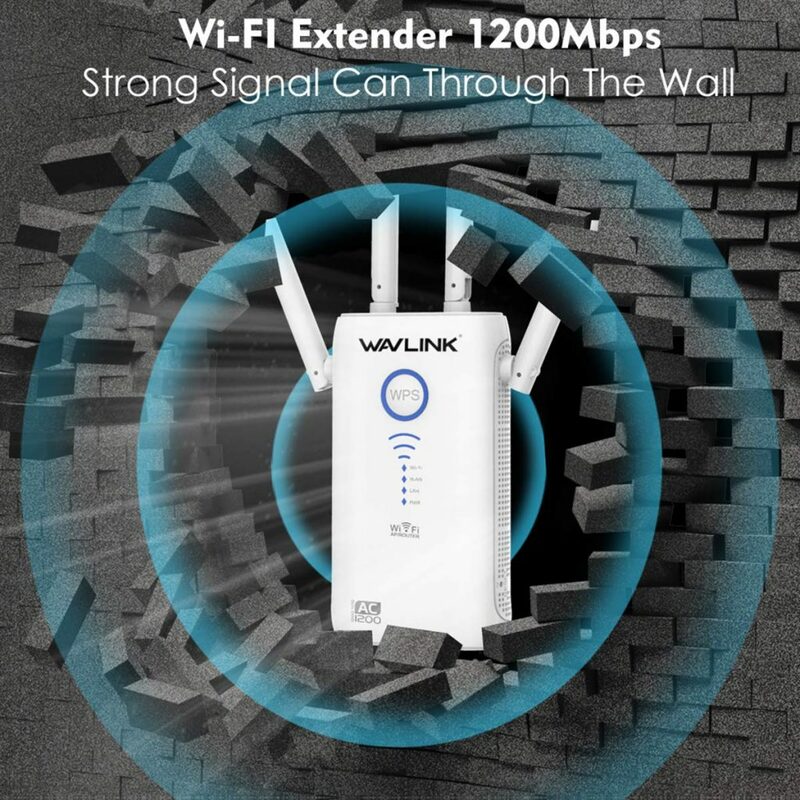 Wavlink WN579X3 WiFi range extender has built in high power amplifiers which improve its ability of receiving and dispatching signals. With up to 5x transmission power, you can enjoy stronger signals in the boosted area and it helps you to connect to your devices continuously. Its beam forming function improves strength and range of signals and provide stable performance. As we know that this repeater has high power amplifiers. So its output power is better than other WiFi repeaters to ensure a through-wall WiFi connectivity. You can enjoy smooth WiFi in every room of your home or office with no worries about obstacles to block signals. 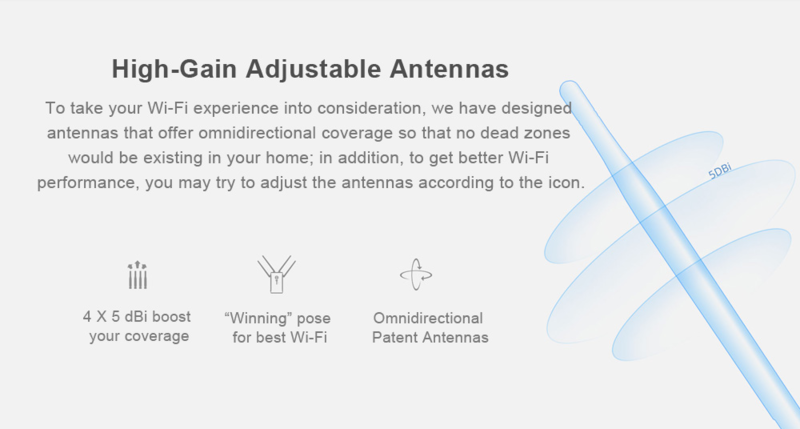 For your best WiFi experience, we have made these antennas “adjustable”. We have designed antennas that offer omnidirectional coverage so that no dead zones would be existing in your home. In order to get better WiFi performance you may try to adjust the antennas as shown in the picture below. 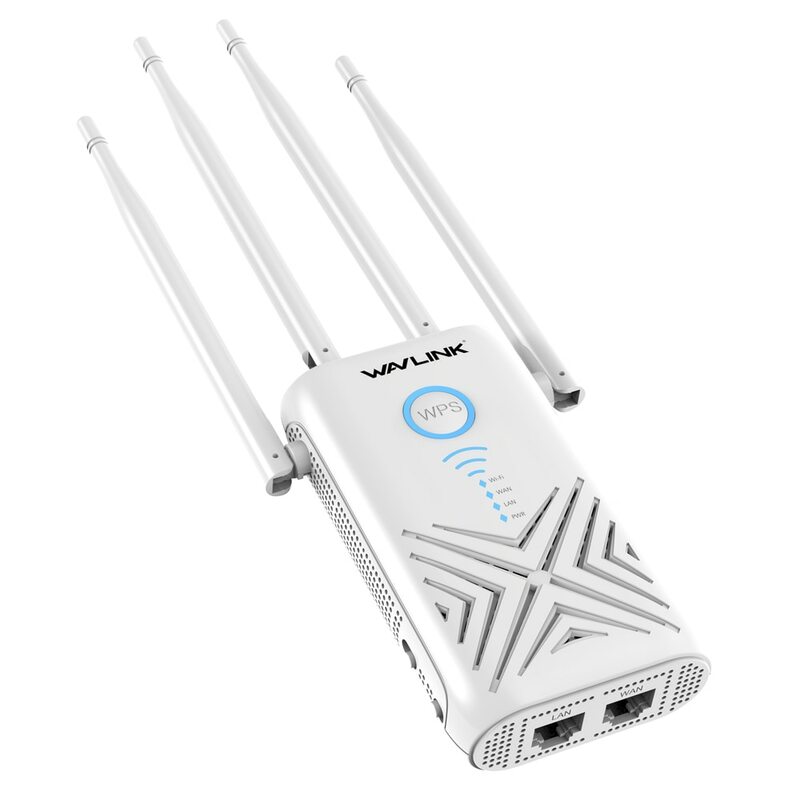 Wavlink WN579X3 wifi repeater has dual Gigabit Ethernet ports which could support 10/100/1000Mbps speed that is 10x faster than a standard ethernet port. This Gigabit Ethernet port is used to connect devices that dont have wifi capability. 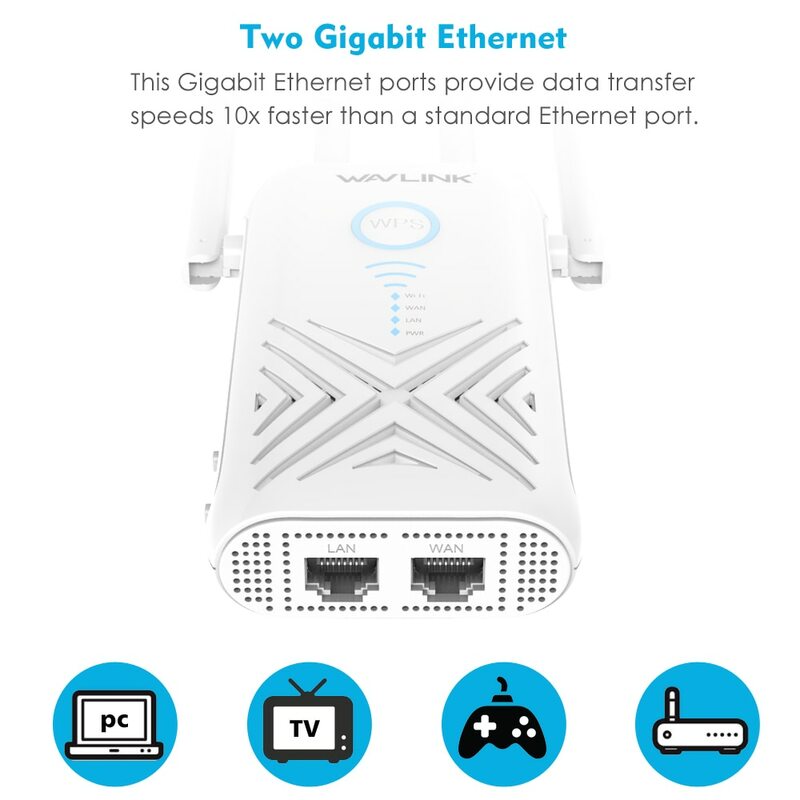 Gigabit ethernet port provides a high speed connection for wired devices like gaming console, Blu ray Player, Smart Tv and more. Its installation is very easy as its virtually compatible with any WiFi router. Just press the WPS button and you are done with the installation. Its that easy. 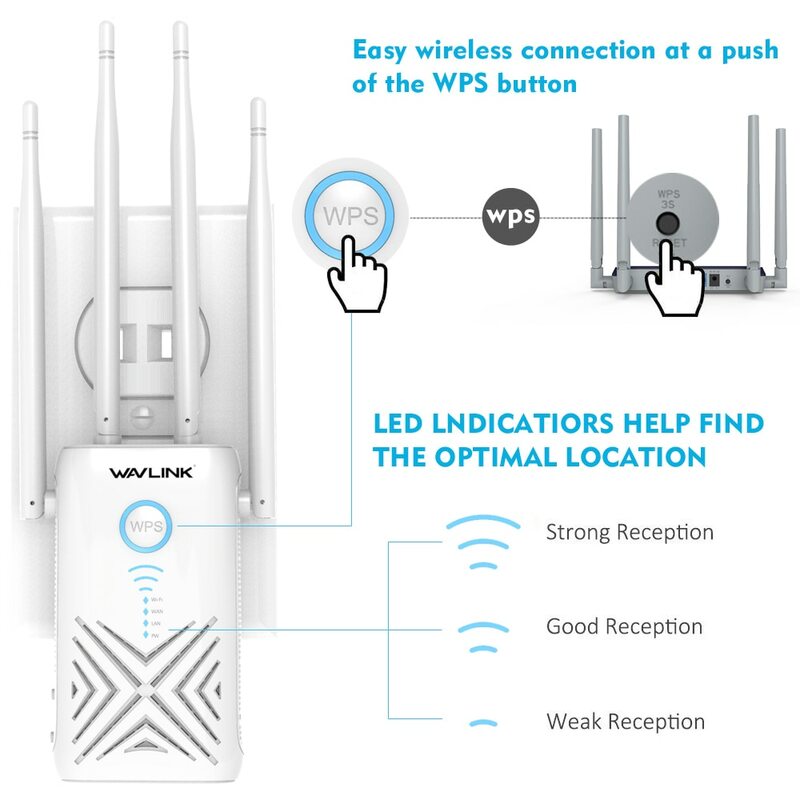 This WiFi signal booster has 8 smart LED lights which shows the status of your wireless environment. 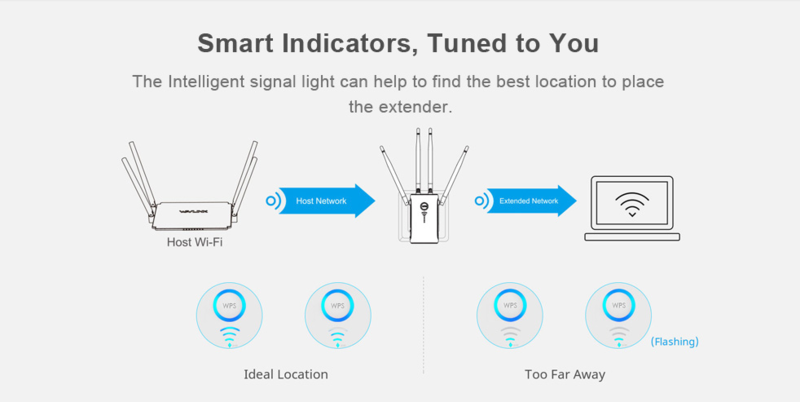 The LED signal indicator helps you to find the best location to place the extender. The Wavlink engineers designed this product for maximum heat dissipation. Each side of this repeater has cooling holes. These ventilation holes extend its life and make the device stable during working process. WN579X3 supports 3 modes i.e wireless repeater, Router and AP mode. Simply use the switch button to choose the operation mode. Repeater Mode: It is used for extending WiFi signal-coverage of an existing wireless network. Router Mode: This mode is used for creating a private wireless network and enable multiple devices to share it. 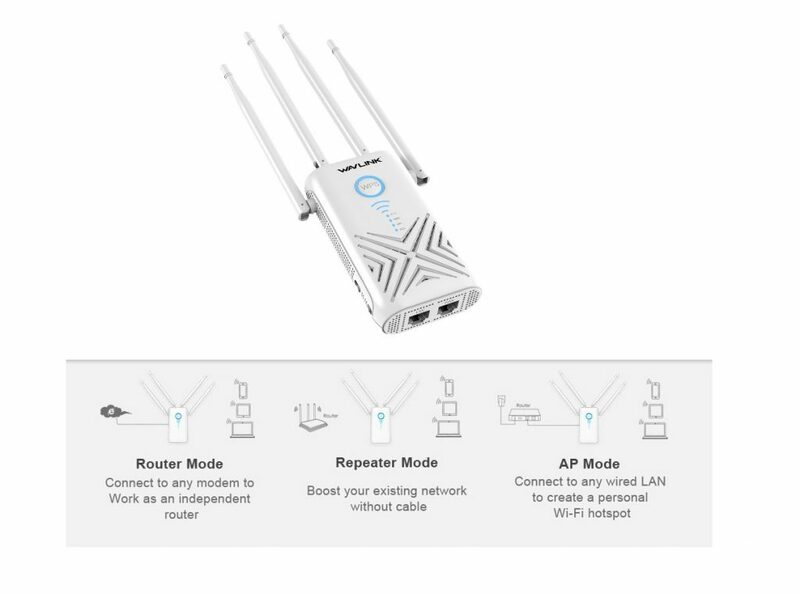 AP mode: It is used to connect to nay wired LAN to create a personal WiFi hotspot. As a complement to your home decor, it is delicately sized and owns soft matte texture. You can either plug it horizontally on your table and your working station or just plug it in wall mounted power socket in order to suit your own style and taste. 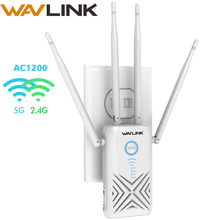 The Wavlink AERIAL G provides WPA/WPA2 security to protect wireless data & network. It support different security encryption types including PSK, WPA, WEP, WPA2 PSK, PSK (Mixed), WPA, WPA2, WPA / WPA2 encryption, AES and TKIP. The WPS function to securely and quickly setup a secure wireless network. Its other functions like disable SSID broadcast function prevent outsiders to access the wireless network. 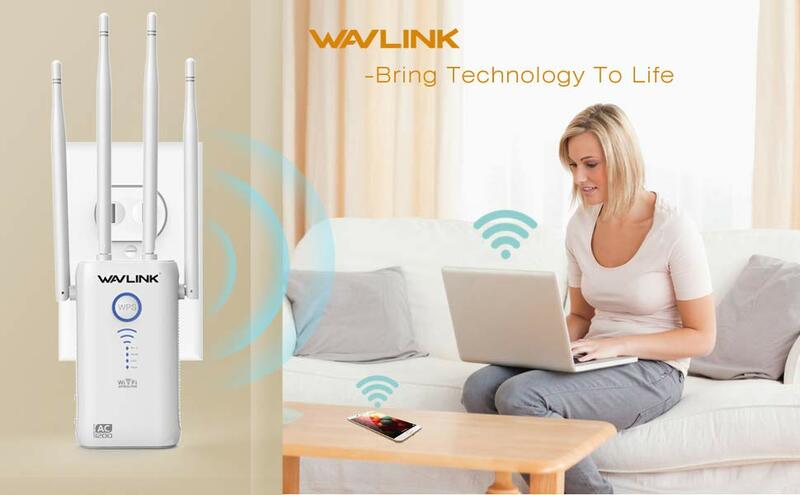 The above mentioned characteristics make Wavlink WN579X3 repeater a truly exception WiFi range extender. Its features like beamforcing technology, 4 x 5dbi antennas, Dual gigabit Ethernet ports, advance security, 3 modes and cooling design makes the choice easier for customers to choose this wireless WiFi range extender. So what are you waiting for? Click the link below and buy this repeater now at discounted price.